Soluble varnish removal (SVR™) systems are the leading varnish removal solution on the market as they not only remove varnish but also remove its soluble precursors, the underlying cause of lubricant varnish. Unlike other systems, SVR works during normal equipment operation when the varnish is dissolved such that particulate removal based technologies do not work. 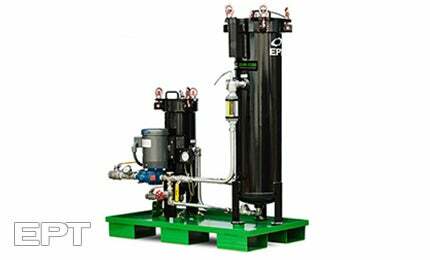 SVR systems include two large ICB filters and one high-quality polishing filter that will significantly drop ISO particulate codes extending bearing and servo-valve life. In over 400 locations, SVR systems are being used successfully with over 90% customer satisfaction.